In January 2008 NWFR implemented a new inspection program of commercial properties in the City of Blaine. Want to prepare for your inspection? Review the Fire Safety Self-Inspection Checklist to get started. 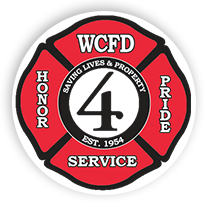 Business owners within the City of Blaine can expect to be contacted by North Whatcom Fire & Rescue personnel to begin scheduling their annual Life/Safety Fire Inspection of their businesses as part of North Whatcom’s Engine Company Inspection Program. Business owners are reminded that in an effort to minimize any disruptions to your work day North Whatcom Fire personnel will be coordinating with you to schedule a time for your inspection that is best suited for you. The inspection of your workplace will generally take place during regular business hours, but may occasionally take place during the evening or on a weekend. Inspections are performed by trained fire district personnel who will evaluate your place of business for existing hazards that may lead to fire or otherwise pose a threat to your business, employees and patrons. There is no fee for this inspection. The inspection provides you the benefit of a thorough and professional inspection that will aid you in mitigating potential hazards. For the district, the inspection provides the benefit of minimizing fire hazards as well as providing an opportunity to observe the physical layout of your business. This information is used to create a pre-incident plan enabling us to serve you more efficiently in the event of an emergency at your location. In addition, the presence of an effective inspection program is a factor that is considered by the Washington State Survey and Rating Bureau when determining the district’s Insurance Services Office (ISO) rating. A better rating is a benefit to the district and business owners as it may decrease associated insurance rates. With the resounding success of the Engine Company Inspection Program that was implemented in 2008, coupled with the anticipated success rate of this year’s inspections, the City of Blaine’s ISO rating of was lowered in the latter part of 2012, resulting in substantial savings on insurance rates. As you prepare for the inspection, all business owners are encouraged to complete the Fire Safety Self-Inspection Checklist. By completing this checklist, you will be taking proactive steps to identify potential Life/Safety issues and take corrective measures to ensure that your business is in compliance with the International Fire Code. It is our objective to work cooperatively with business owners and managers to make your business a safe place for customers, employees, and owners. 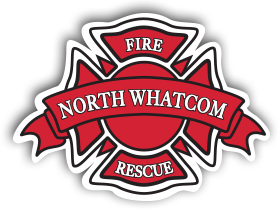 If you have questions about the inspection program or would like additional information, please feel free to contact North Whatcom Fire & Rescue Division Chief Henry Hollander at (360) 318-9933 or visit him at his office at 4581 Birch Bay Lynden Rd in Blaine.